Are Websites Subject to The Accessibility Requirements of The Americans With Disabilities Act? It is undeniable that the internet is here to stay, playing an increasingly critical role in our ability to obtain and disseminate information. No matter the application – business, entertainment, politics, etc. – the internet has become a staple of everyday life. For many individuals with disabilities, however, navigating the internet can be a less than satisfying endeavor. A string of recent cases has piqued the curiosity of many – myself included – as to whether the internet constitutes a “place of public accommodation” under the Americans with Disabilities Act (“ADA”). Assuming, as many disability rights advocates have argued, that the internet is a “place of public accommodation,” internet content providers, including internet mainstays Netflix and Facebook, may be required to take affirmative steps to ensure that their websites and online content are reasonably accessible by persons with disabilities, such as those with vision and hearing impairments. First, a bit of background. Title III of the ADA prohibits the discrimination of individuals with disabilities in relation to their access to and enjoyment of public accommodations. In this context, public accommodations include nearly all services and activities open to the public and operated by private entities, including, among many other things, hotels, restaurants, bars, theaters, stadiums, auditoriums, grocery stores, shopping malls, banks, gas stations, libraries, parks, and golf courses. 42 USC § 12181(7)(A)-(L). The ADA requires places of public accommodations to take reasonable steps to ensure that their goods and services are available to and accessible by all individuals with disabilities. These steps may include modifying policies and practices and removing architectural and communication barriers, so long as changes are readily achievable, would not result in an undue burden, and would not fundamentally alter the nature of the accommodation. 42 USC § 12182(b)(2)(A). The failure to take such steps may constitute unlawful discrimination. Applying the ADA to internet retailers and content providers is no easy task. It has been the subject of much debate since shortly after the ADA was enacted in 1990. In recent years, several relatively high profile cases have brought the discussion back to the forefront. For instance, in 2007, a class action lawsuit filed against retailer Target Corporation claimed that Target violated the ADA because its website was not accessible to customers with visual impairments. As part of its $6 million settlement, Target agreed to make its website compatible with screen reader software, often used by the visually impaired. Similarly, in 2010, Hilton Worldwide, Inc. reached a settlement with the United States Department of Justice, requiring it to pay a civil penalty and to modify its website and online central reservation systems to ensure increased accessibility. Judge Ponsor similarly rejected Netflix’s argument that the ADA does not apply because Netflix provides services to be accessed and used by individuals in their private residences, not in public places. According to Judge Ponsor, although “the home is not itself a place of public accommodation, entities that provide services in the home may qualify as places of public accommodation.” In Judge Ponsor’s view, the services provided by Netflix are akin to those provided by “plumbers, pizza delivery services or moving companies,” all of which provide services to or in a customer’s home and all of which may be subject to the requirements of the ADA. 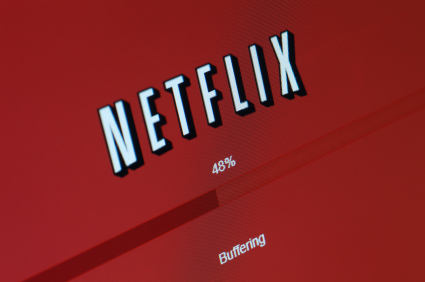 While the Netflix ruling may have only limited precedential value [Netflix intends to appeal the decision], it constitutes yet another push toward applying the ADA to the internet. Indeed, should Judge Ponsor’s reasoning gain traction, nearly all public websites would be required to provide alternative accessibility options or, at the very least, be compatible with widely-used auxiliary aids. Companies big and small may be wise to take reasonable measures now to avoid potential lawsuits and fines in the future. Josh is a member of the General Litigation Practice Group. His strong research, writing and courtroom skills have been put to use on a wide range of information technology matters, specifically in electronic discovery and privacy matters; intellectual property; licensing and contract disputes.